The Best 360 Camera for the Price! 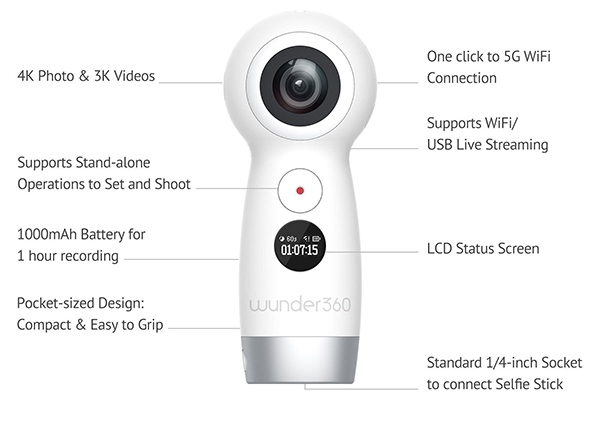 The Wunder360 is a cheap but professional 360-camera with up to 3K video footage and 4K photos. In a time where 360-photos and videos are getting very popular due to VR sets and all that, you’ve maybe checked on getting a 360 camera. Some are very expensive, like the GoPro rig, some are very cheap but give awful quality. This Wunder360 comes in at 150$ and delivers very good photo quality. The video quality is okay, but a little grainy. Overall the device itself works very well, has a good app end just looks nice. You can find the Wunder360 here.